In so many ways, Cape Town was the end. It was meant to be my last country in Africa for a while. It was the last real travel goal I had set myself. 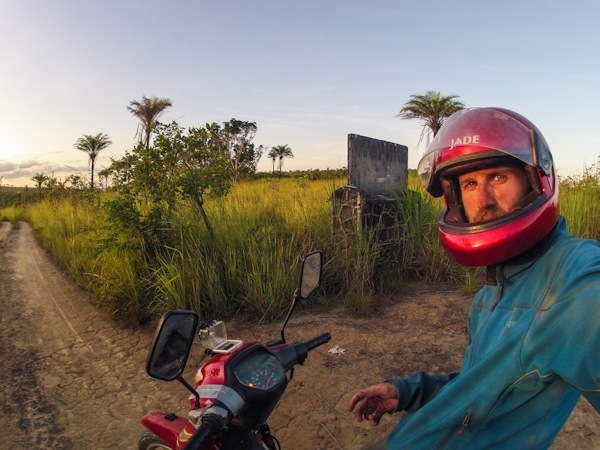 But most of all, it was the end of 17,000kms driving a scooter from Mali to South Africa. It was the end of flat tires, bumpy roads, and feeling completely lost in the world. But it felt too like it was the end of an adventure, and perhaps the end of the most epic travels of my life. Sure, it felt good to be done. It felt good to have reached my goal of Cape Town. It felt good to not have to worry about running out of fuel, having a breakdown in the middle of nowhere, or corrupt military officials anymore. I won’t have to spend weeks on end alone anymore, and hopefully there will be no more dirty hotel rooms that are used more commonly as brothels. But, it’s still the end. It’s still the finish. I don’t have much to worry about anymore, but what is there to look forward to? Arriving in Cape Town also meant that it was time to say goodbye to Anne Murray, the most loyal companion I’ve ever had. Anne Murray had gotten me through the road situations worse than any man would wish on his scooter. We drove through mud up to my ankles, and crossed through puddles deep as my knees. 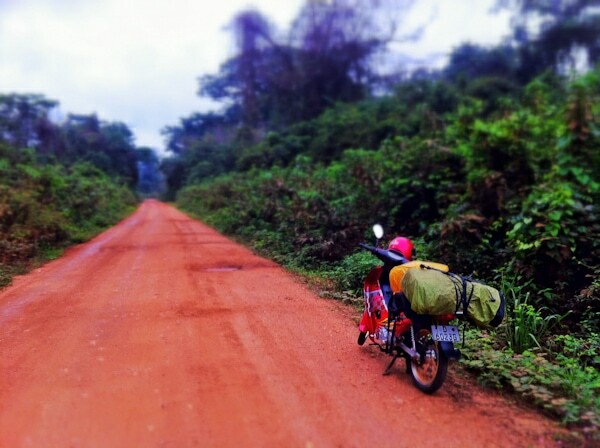 She got me through the wild winding roads of Gabon and the ever-straight roads across the flats of Namibia. Anne Murray and I shared as much as I’ve shared with any human being, and I’d be lying if I never had conversations with her on the road. She was my crutch. 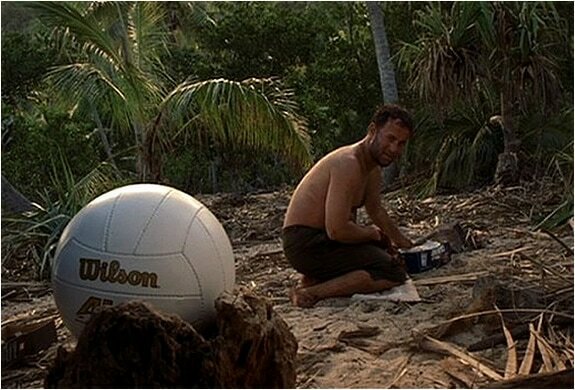 She was my “Wilson”. When I arrived in Cape Town last week, the first person I met was a man fittingly named Wilson. 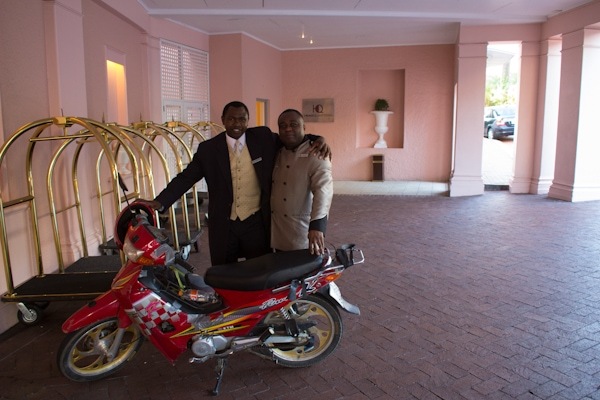 He was the bellman of the Mount Nelson Hotel, and welcomed me to Cape Town with the widest smile and warmest handshake. After welcoming, he set his gaze upon Anne Murray, and it was love at first sight. I told him I was selling it in a week, and I could see a look of anticipation on his face. When I told him I only wanted $200 for it, I could see him doing math in his head. He was perfect for her, and I told him that I’d be back in a week and we can make the sale official. 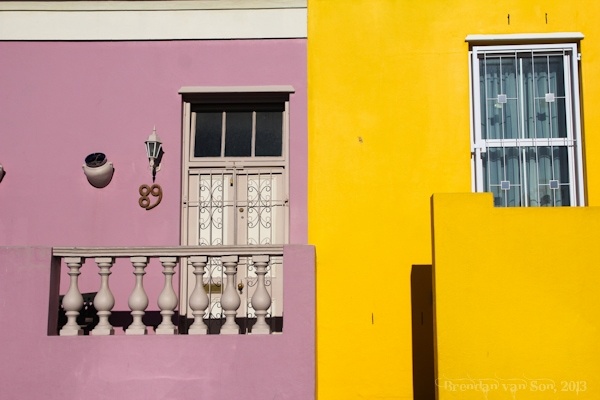 In the meantime, Anne Murray and I explored Cape Town. We rolled up to the view point near Lion’s Head. We travelled out to the famous Groot Constantia winery. We hugged the coast, and I started to wonder how I was going to let her go. When I arrived with her at the Cape Sun Hotel, the bell staff too was engaged by the beauty of Anne Murray. A few day later, I turned into the Mount Nelson Hotel. I could see Wilson was bothered by something. He explained to me that he couldn’t get the money. It was the weekend and the payroll staff member had been on vacation. He apologized and was obviously disappointed. I asked him how much he had that he could put to the bike and he replied half. I reached into my pocket and held the key out for him. Wilson is on the right…! Without saying a word, he walked up to me and wrapped his arms around me with a massive bear hug. His watering eyes had begun to trickle, and I knew right away I had made the right choice. Seeing Wilson’s estatic state made me feel more at peace about the end of this journey. It made me remember that with every journey’s end comes a new one. Anne has a new owner. Wilson has a new ride. And me, well, I again have an open road full of options and potential adventures. Sometimes even the wildest free spirit needs a reminder every now and then that he’s free. Ever now and then we need reminders that we are not shackelled by our lives, we are not held by the journeys the we choose, and we certainly don’t have to stand firm on the sidewalks laid in front of us. Life is an open page waiting for us to decide how to draw it. Aw, I loved this post! Bought a little tear to my eye. You made the right decision. great decision with wilson! please, please do another adventure like this one with anne murray – not sure i can wait too long without keeping up with one of your adventures. it has convinced me to go to africa next summer and to travel more freely. thanks! Goodbye Anne Murray. Strangely after following your adventures down through Africa, I will miss her as well! Brandon, I know how emotional it must have been to sell your trusty steed: Tony & I only had our motorbike in Vietnam for 2 months and by the end of it, while we were glad to be rid of her, it was also bittersweet as we had had so many adventures on that bike. You and Anne Murray certainly had your ups & downs but I can’t imagine that you would have wanted to travel down the road of life any other way. Can’t wait to read about your next adventure! I guess it’s like selling off puppies; you have to know something you love is going to a good home. Bet Wilson is waking up every morning with a grin on his face! I’ve just stumbled on your Blog after seeing some of your pictures on Facebook. This is a nice tale. You did a good thing here. Top bloke!